San Diego boasts a wonderfully diverse, wonderfully alive artistic community: one of many vibrant cultural strands making up our city’s spirit. Here at the centrally located Sofia Hotel, we’ve got multiple great outlets for that artistic community close at hand—one of them most certainly being the young Sparks Gallery. 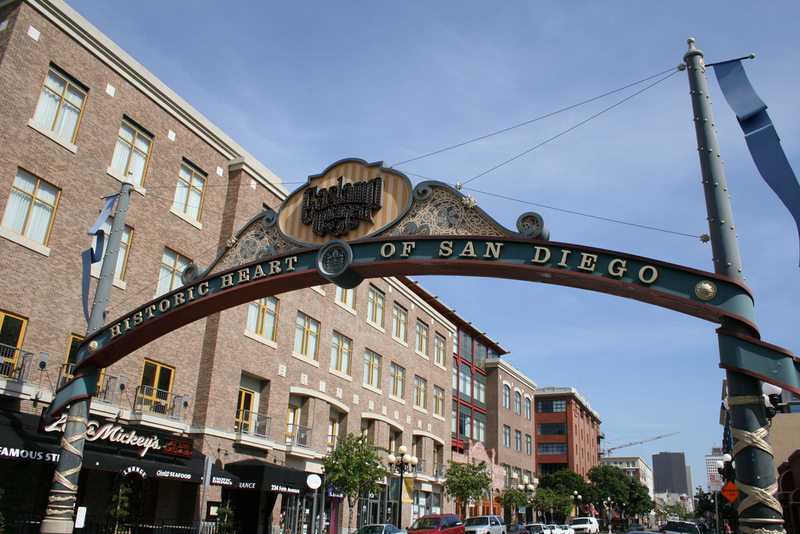 The Sparks occupies one of the Gaslamp Quarter’s many historic buildings: the Sterling Hardware Building, to be exact, constructed back in 1924. The gallery beautifully renovated the space, an effort for which it was rewarded with the 2015 People in Preservation Award for Adaptive Reuse from the San Diego non-profit Save Our Heritage Organisation (SOHO). It’s always worth visiting the Sparks Gallery on a San Diego visit, as it focuses on promoting the works of artists from the city and Southern California in general. Currently, for instance, you’ll find the Southern CA Sculpture exhibition putting the prodigious talents of the region’s sculptors on marvelous display. The 23 artists included in the exhibition were selected by the National Sculpture Society, the oldest sculptor organization in the United States (we’re talking founded in 1893, for heck’s sake). In terms of subject matter, style, medium, and aesthetic, Southern CA Sculpture’s featured artworks stake out quite the spectrum: Just take a gander at D.L. Engle’s bronze “Happy Bear”; Richard Becker’s stainless-steel “Flight of the Inflated Shark Baby”; Anne Geiler’s ceramic “Can You See Me Now”; Lynn Christopher’s lifelike resin human figures Sandy, Simon, and Beth; and Adam Matano’s “Zarafa” of bronze and resin. The Sparks Gallery will be presenting the Southern CA Sculpture exhibition through March 5. You’ve also got a short while left to take in the group show Animalia, which in its wheeling celebration of the animal kingdom makes, we’d say, a very nice companion show to the San Diego Natural History Museum’s Photo Ark that we recently profiled here at the blog. Animalia continues till February 12, to be followed up by an exploration of San Diego’s seashore called Edge of the Ocean. The journey to the Sparks Gallery from the Sofia Hotel’s doorstep is but a few minutes’ stroll or public-transit ride, so we hope you’ll swing by this marvelous art gallery next time you stay with us here in downtown San Diego—and if it’s in the next month or so, you’ll get to ogle some truly impressive Southern California-brand sculpture!